Julie Cook is a highly gifted and internationally acclaimed Psychic Medium, Reiki Master, and Rebirther and has been working in this field successfully for the last thirty years. Her work takes her all over the world and she is eagerly sought after by her many clients. Her abilities began to manifest very early in childhood, a natural Psychic and Medium, Julie would see and hear spirit as easily as she could see the physical beings around her. She learned to trust her spirit allies completely, and as a result, she has been able to help thousands of people worldwide and from all walks of life. She was given the name Ravenstar through her deep Celtic soul link and connections with Native American Medicine. 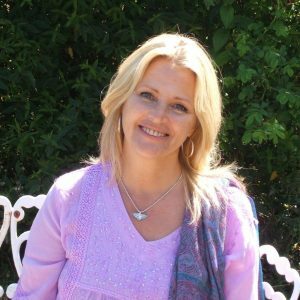 Julie has worked with and studied a variety of healing techniques including Body Magic (language and expression) and Body Harmony. She runs seminars, courses, and retreats on Psychic and Spiritual Development, Numerology and Tarot, often working closely with other well-known personalities. Julie’s down to earth approach combined with her compassion, clarity and accuracy have gained her a notable client list which includes celebrities, nobility, and individuals from the private and corporate sector. She has appeared on Radio and TV at home and abroad and is a regular guest on Psychic Shows around the UK.